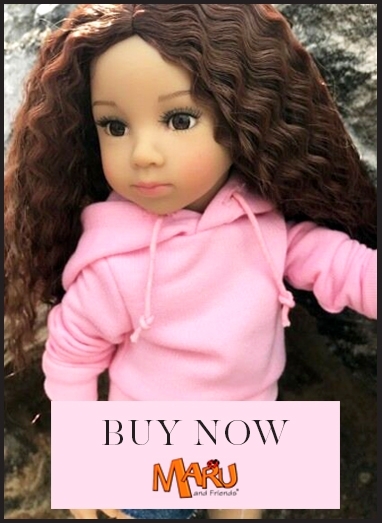 This Coral doll has blue eyes and blonde hair worn with a fringe (bangs) to frame her face. She comes wearing this exquisite dress in ivory-white with lace and a gold glitter sash. The sash matches her hair bow decoration and her glitter gold shoes. Read more below.